Following the norm in their community, Nazia’s parents, did not send her to a school but instead enrolled her in a nearby Madrassa. She was the second child of eight sisters. Unlike her obedient elder sister, Nazia wanted to go to school and eventually get a job to help improve her family’s economic condition. This was not acceptable to her family. Luckily for her, her Madrassa teacher was herself highly qualified and encouraged girls to receive education. She noticed Nazia’s interest in studying and gradually convinced the little girl’s father to send her to a school. This is how Nazia came to Behbud Secondary School for Girls. Nazia started school late but was a brilliant student throughout. She always got the top position in class and participated in extracurricular activities as well. 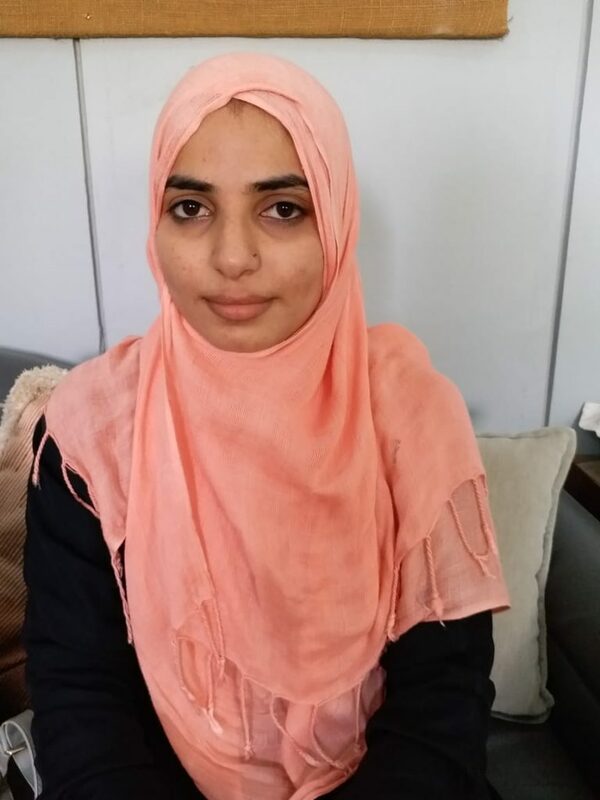 With the help of her teachers and general school support, she was able to get A1 division in Matric. Based on her eagerness to continue her studies, Behbud provided her a scholarship for college education. Her family would not have been able to support her further education otherwise. After college, on seeing her daughter’s success, Nazia’s otherwise conservative father allowed her to accept a job with a local NGO which was working to eradicate polio from her community and its adjoining areas. She is currently working with ComNet as a Health Care Supervisor and is leading the polio drive in Sikanderabad. She is also pursuing her B.Com and aims to serve her country and her family by joining Pakistan Navy in the near future.